The day started out so well. Unfortunately, the team and I were waylaid for about an hour on Interstate 15, setting off a chain of events that led to extra time spent trying to park… meaning that all our free time today was sucked up by meaningless pursuits. We’re here at the Consumer Electronics Show in Las Vegas, but most of our time’s been spent behind closed doors in meetings. We didn’t get over to the DISH booth yet, and DIRECTV’s not even here (although their blimp is.) The image above is one of the few random snapshots we actually got to take. Still, I can give you my impressions of the show, which are probably more interesting anyway since I know you all are watching all the tech blogs and you’ve seen all the product announcements. After all, the guys at engadget arrive in a bus and we over at The Solid Signal Blog have much more modest transportation. 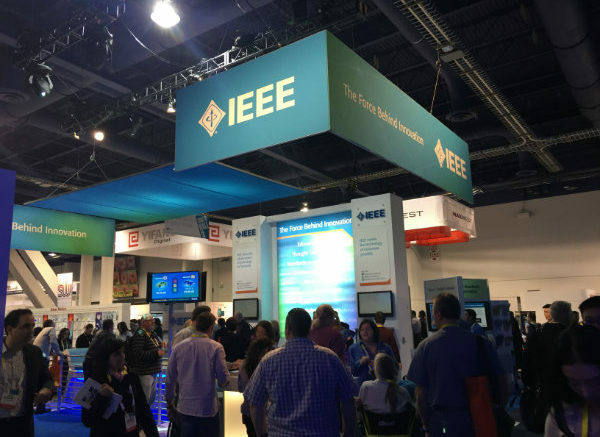 I started out last week thinking that CES this year wasn’t going to be much of a big deal. Well it’s true that I haven’t been to the Central Hall yet, with its major manufacturers and giant TVs, but I have to tell you that I was right. To say this is an evolutionary year for the International Consumer Electronics Show would be generous. Oh sure, I can point to the new product introductions, of which there were many, but when you really sit down and look at it, this is a bit of a down year. Big televisions are still out to play, but come on folks, it’s 2015 already. Look in your living room and you probably can see a big TV. Wearables? They were everywhere but did any of them really matter? Drones were big too, but we saw drones last year. There’s been some improvement in them but big deal. Hanging out in the South Hall where you traditionally see the big cell phone accessory manufacturers, there was a distinct lack of iPhone and Galaxy cases. Oh sure there were maybe 1,000 of them, but in previous years that number’s been more like 10,000. As always, I wondered why the US Postal Service was there, and why American Express really bothered. But they must be getting something out of the show because they’re there every year. Every year the show gets bigger but seems to have less to see. This year there were a lot of relevant manufacturers over at the Venetian/Sands Expo Center, presumably because there just isn’t enough room at the Convention Center or the Westgate (the former Las Vegas Hilton.) It was all there, but it was all a little less impressive, I have to say. It’s time for a new segment, or something new to do with the stuff we already have. Day 2’s a big day, we’ll be at the show nice and early and we’ll have the chance to peruse the big manufacturers. Look for a lot of pictures and a lot more commentary. For now… I’ll sign off, a little disappointed.